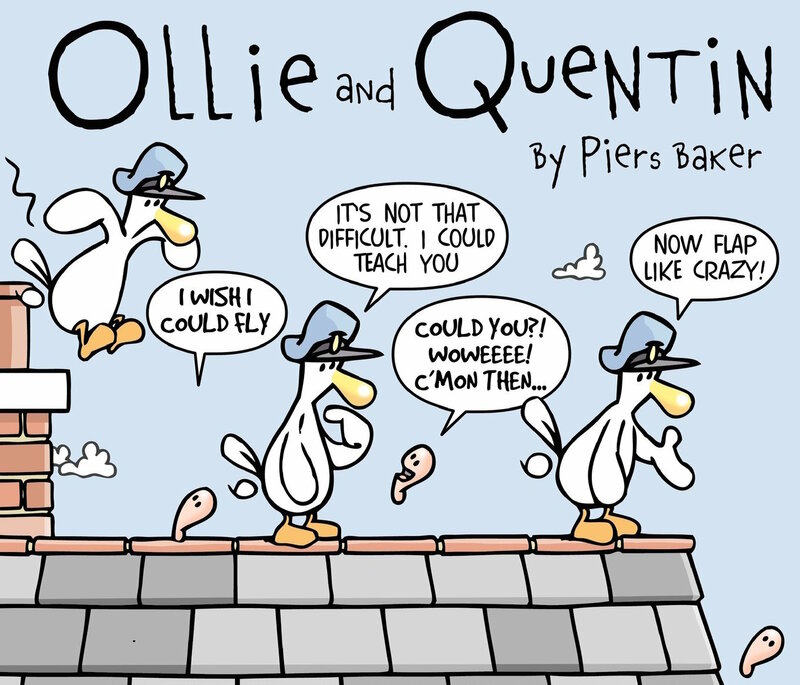 Last week we interviewed Piers Baker about his comic strip Ollie And Quentin. Previously syndicated by King Features in the US, Ollie And Quentin can currently be found on GoComics. Piers has been a professional cartoonist for many years and had some fantastic stories to share. He’s also the tallest cartoonist we’ve ever interviewed. Check out Piers’ work online. Even if you’re not the subscription type, just sharing the show with like minded friends is a huge help.